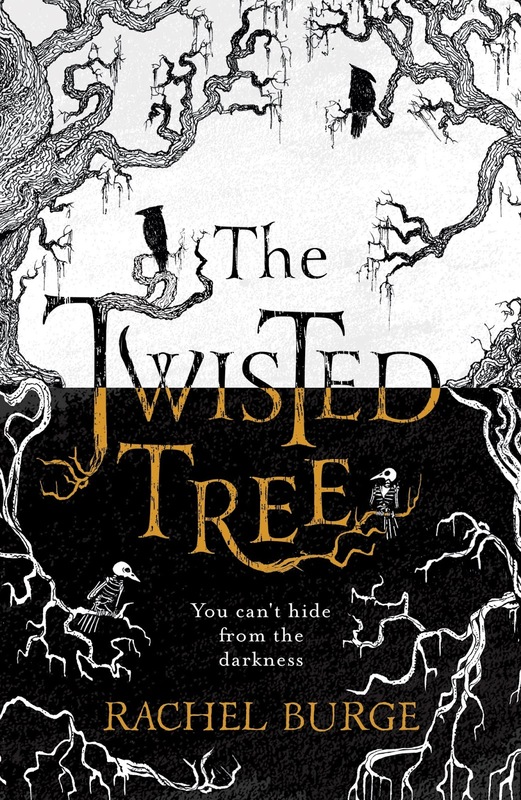 The Twisted Tree by Rachel Burge (eProof) - Part ghost story, part Nordic thriller - this is a twisty, tense and spooky YA debut, perfect for fans of CORALINE and Michelle Paver. Trigger Warning: This book features possible ableism, gory violence, and animal cruelty. The Twisted Tree by Rachel Burge sounded incredible, but while it had a number of intriguing elements, it was a huge let down. Four months ago, Martha fell from a tree in her grandmother, Mormor's garden in Norway. The fall left her scarred and blind in one eye, and ever since, whenever she touches people clothes, she has access to their feelings and their memories. Desperate to know what's going on, she has written to her Mormor for answers, without any response. When she realises that Mormor has been replying, but her mother has been burning the letters, Martha decides to fly to Norway to speak to her Mormor. Only, when she arrives, she discovers her Mormor has died and been buried, and a strange boy is living in her house. There's something strange out in the woods that her Mormor's neighbours warn her of with unusual fear - and also that her Mormor wanted the twisted tree in the garden watered from the well. When strange things start happening around the house - a spinning wheel spinning, a rag doll twitching, books appearing, and dark shadows moving - Martha starts to suspect that the unwatered twisted tree is at the heart of it all. The premise of The Twisted Tree had a lot of promise and is quite intriguing, but it was just handled badly. The writing is a major issue; instead of flowing, conversation between Martha and the strange boy, Stig, as well as Martha's narration, jumps from on thing to another in a matter of seconds. Sure, conversation topics change as you talk, but not so quickly, and not when the original topic is about the strange and scary things that are happening. I'm sorry, but if there are weird shadows that are moving in your house, and faces showing up in the mirror, you're not going to be trying think through what could possibly be happening, then, within a matter of seconds, wonder whether this strange guy might fancy you, because you fancy him, followed by a barrage of self-loathing over the way you look. Not when there's something howling outside your house, and dolls are moving, and thumping is coming from the wardrobe! The writing was just really clunky and all over the place. It was also really difficult to feel anything about the story. The tone and atmosphere was all off. I was never scared or on the edge of my seat. There's no building of tension. I never really felt Martha's emotions, I was just told about them. There was zero chemistry between Martha and Stig, so it was an unbelievable romance, and it was unrealistic, to me, that Martha would fall so quickly for some strange boy who has been living in her Mormor's house, eating her food, and, for all she knows, could have killed her Mormor! I didn't feel anything throughout the story, not felt anything for the characters. It just wasn't written well enough, in my opinion. And then there's the plot itself. As I said, there were elements to it that were pretty intriguing, but they just weren't developed enough. So there's more to this twisted tree in the garden that meets the eye. Ok, fine. But why? There's a link to Norse mythology, which was really fascinating, but it's just surface level stuff, and if you don't know Norse mythology, like me, then you'll be left with even more questions starting with "why?" And other questions like, what is the creature in the woods? Ok, it's X, but what is that? What does it mean? How and why did Mormor die? Because she seemed to know she would die, but there's no explanation as to why, or what happened. Why Martha's family, specifically? And what happened before they were given this task? There were just so many things that were underdeveloped, world building that wasn't fleshed out enough. I have read a lot of fantasy, and so I'm used to in depth explanations and world building that has an answer to every possible question. It feels to me that Burge didn't put enough effort into fleshing out her world building, and so I feel a little cheated. Also, I was really uncomfortable with how Martha being blind in one eye was handled. Martha falling out of the tree and becoming blind in one eye was her destiny, and there's a purpose behind her half-blindness. Being half-blind is a tool that will help her (again, not fully explained to my satisfaction). It just doesn't seem right to me to purposely decide a character will be half-blind, she'll be half-blind for a reason, and there's something "magical" about her being half-blind. It just feels really insensitive to me, using people's disability as a magical means to an end. Martha isn't half-blind for purposes of representation or diversity, she's half-blind because it helps the plot. And on top of that, Martha is constantly putting herself down because of her appearance, and she is scathing. She has a scar that runs from above her left eye downwards into her cheek, and her eye is cloudy white and looks off in strange directions. And the venom with which Martha thinks about herself! Yes, this is dealt with to a certain extent towards the end of the book, but you still have to go through the majority of the book with Martha talking about how ugly she is and how no-one will fancy her because she's "damaged". Which is just so insensitive, I feel, to any blind people reading. She's not just lacking self-confidence and has low self-esteem, she is vile in the way she talks about herself. It just felt really problematic and probably hurtful to those who are blind. And when she discovers that Stig has previously liked girls who are goths, she thinks she might possibly be in with a chance, because he likes girls who are "different". It felt a lot like the "not like other girls" trope, but also... I don't know, almost like she's putting goth girls down? Because she's so vile about her own appearance, but he might like her even so, because he likes them? It just all felt really wrong and uncomfortable to me. The Twisted Tree was just a real disappointment for me, and I didn't really enjoy it on any level. However, there are a number of people who have really enjoyed it, so do read some other reviews before deciding whether or not to read it. Oh wow - sorry to hear this one was such a disappointment for you. I originally thought it sounded really cool but likely going to give it a pass now, it doesn't sound like a book I will connect with either :) Great, honest review!